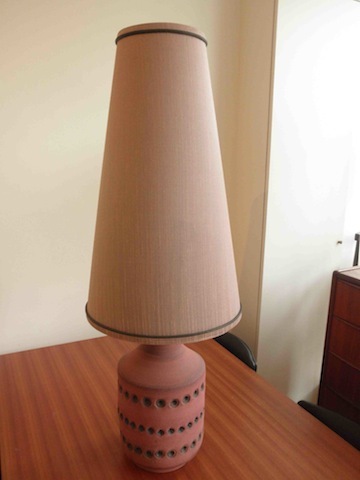 This Bitossi attributed mid century modern lamp has a matt glaze in a subdued magenta colourway. It has the original witches hat shade in matching shantung and stands over 1m high. Stunning piece.